Most kids around the world have read Pippi Longstocking when they were growing up, and probably also the two sequel books about this favorite kids character, including: Pippi Goes on Board and Pippi in the South Seas. The author claims to have made the stories up the story for her young daughter who was sick (back in the late 1940s), and when her daughter kept asking for more stories about Pippi, she decided to write the stories down. The books were first published in Sweden back in the 1950s, but were translated into virtually all European languages and various others, initially by Viking Press (appropriately enough). The rest, as they say, is history. Indeed, the author, Astrid Lindgren, became something of a national folk hero in Sweden, although she passed away in 2002. Still, even as of December 2012, Ms. Lindgren was the world's 20th most-translated author on earth and sold roughly 145 million copies of her books worldwide. That's pretty darn good, following only the Bible, the Koran, the works of William Shakespeare and a handful of others in terms of being the most-translated books on earth. The reason the stories are so endearing to kids isn't hard to understand. The little girl known as Pippi lives in a house all by herself (along with a pet monkey named Mr. Nilsson and a horse that lives on the front porch). Because she lives all alone, there’s no one around to tell her to do her homework or even go to school. Indeed one of the funniest chapters is the day she actually does go to school. She also has a suitcase full of gold pieces so money isn't an issue. She has extraordinary strength, being able to lift her horse one-handed without difficulty. The two burglars who attempt to rob her are no match for this unusual little girl. Pippi's social interactions, on the other hand, aren't what adults consider to be "refined". 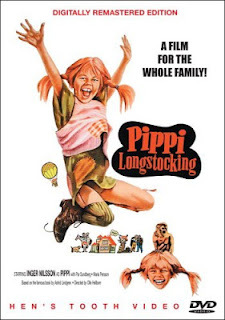 In the original book, her attendance at neighbor Mrs. Settergren's (Tommy & Annika's mother) house proved to be a social disaster, and an experience which taught Pippi a lesson in humility. Needless to say, all of these factors means the Pippi Longstocking character has enjoyed a timeless quality, which also means the books remain popular even today, more than a half century after they were first created. 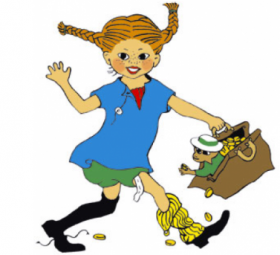 The Pippi Longstocking movies were actually compiled from a television series which ran on one of the major Swedish TV networks which first aired in 1969. Needless to say, kids who grew up in the 1970s had a good chance of seeing this cast. Swedish actress Inger Nilsson starred as Pippi in the original TV series, and her portrayal is perhaps the best-loved, and is also considered the best-acted version of the beloved book character. Various sources have depicted her performance as a "confident yet oddball" that was also uncommonly consistent for a child actress. Newer versions of Pippi Longstocking in film, including the 1988 Columbia Pictures version that starred American actress Tami Erin were not especially well-received by movie critics, nor the children whom the movie was supposed to appeal. These 3 movies seem to closely follow the flow of the 3 books written by Astrid Lindgren, which made the children's appeal stronger, as kids could read the book and know what was coming in the next episode. 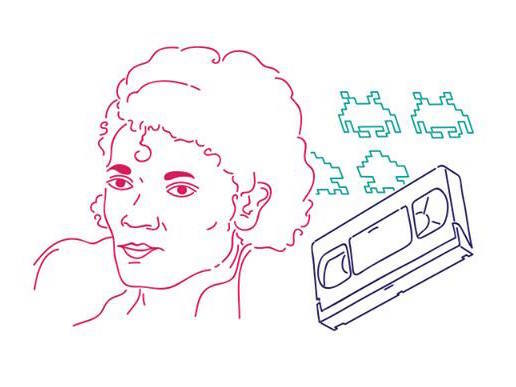 As I understand it, each episode of the Swedish TV show matched a chapter in the original books, so assembling them together into a movie that flowed logically was straightforward. While produced for Swedish television, the production was actually a Swedish-West German co-production, and several German actors/actresses had roles. All 3 of the original 1969 movie versions can be purchased online at Amazon.com (see http://amzn.to/U7b2me for details), and I would presume, you can probably find them on Netflix as well, although you may need to search for them there. Although 35 years had passed since the original shows were recorded, the cast grew up went their separate ways, with some even leaving Sweden to live elsewhere (like the European sunbelt country Spain). Inger Nilsson (Pippi Longstocking), Maria Persson (Annika Settergren) and Pär Sundberg (Tommy Settergren) had reportedly not seen each other for more than a decade. Inger went on to become an actress (big surprise! ), while Maria (Annika) moved to Mallorca, Spain a with her son, and Pär (Tommy) became a businessman in Sweden. On February 26, 2005, German TV network RTL broadcasted "Die grössten TV-hits aller Zeiten - Die beliebtesten Kinderserien" (which translated into English means "TV's Greatest Hits - The Most Beloved Children's Series"). Pippi Longstocking came in sixth place (also known as Pippi Långstrump in Swedish, Pippi Langstrumpf in German) and the three actors who played Pippi, Tommy and Annika were reunited especially for that show. The RTL broadcast was an interesting reunion because the only common language that all of them (meaning the news crew and Pippi cast) seemed to speak was English, hence American viewers could actually follow a decent portion of the conversation from German TV, although you might have missed bits and pieces if you hadn't studied any German (or Swedish!) in high school. The interview was conducted in German, although they spoke both English and Swedish, with German dubs, and no subtitles. Alas, thanks to copyright challenges, the original YouTube video (which was previously at http://youtu.be/5SDwHUrFch0) featuring this cast reunion has disappeared from the online world, which is unfortunate for American viewers. However, I suspect Inger Nilsson will continue to enjoy the distinction of being the best-cast "Pippi Longstocking" for some time to come. Much like other shows with child casts (think of Broadway shows like "Annie" for example), finding child actors to play these roles goes beyond having someone who looks the part and can memorize the lines. Casting is key to ensuring the movie version is consistent with the tone of the original book. For example, British author Roald Dahl reportedly hated the 1973 film version of "Willie Wonka and the Chocolate Factory", although he had also gone on record noting it had less to do with the child actors in that film version than it did with presenting the movie from the perspective of Willie Wonka, rather than from Charlie Bucket (catch my reunion post on Willie Wonka at http://goo.gl/Xn4ou). In any event, the Pippi cast reunion was one cast reunion I never expected to find online, but the world is a smaller place these days!